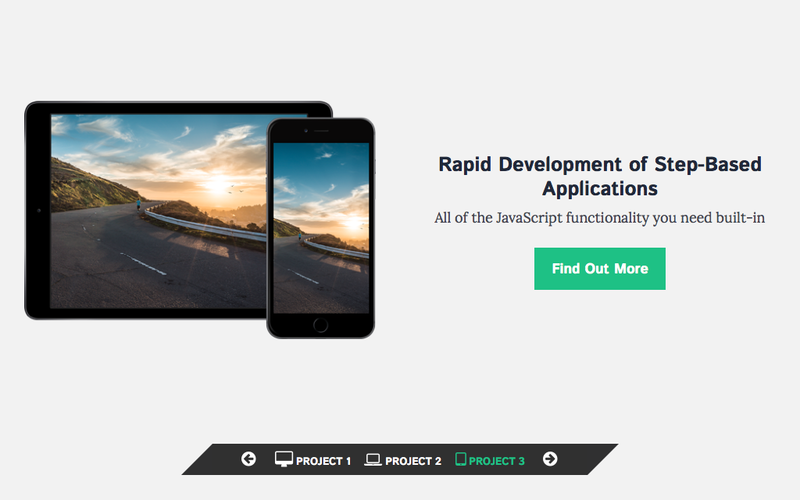 A sliding theme ideal for displaying web design, development, and other portfolio items. 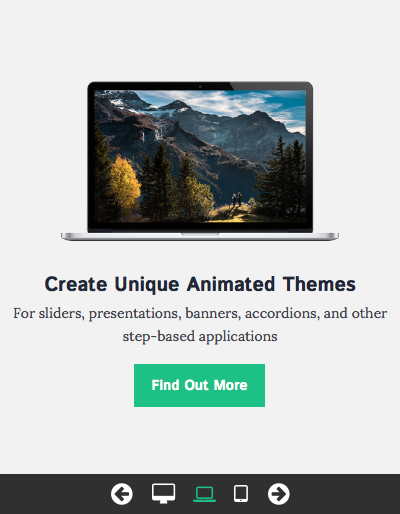 Display title, description, and a link next to an image of your products or portfolio items. Content fades and slides in from the right as the user navigates between slides. What is the purpose of the Recommended Sequence.js Version? The recommended Sequence.js version this theme is packaged with. Other versions may work but may not have been fully tested. Navigate between slides via pagination, swiping, and next/previous buttons. In the smaller layout (1023px and below), the featured image is placed on top of the title and description. 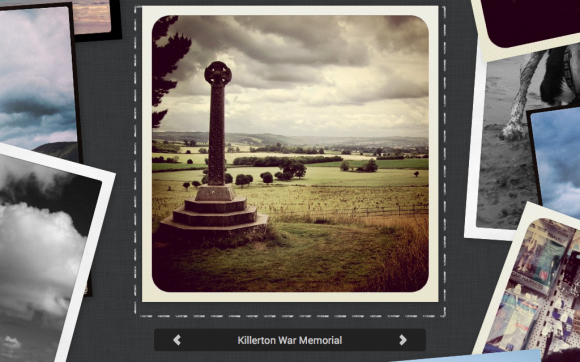 Wider devices (1024px onwards) places the image and content side-by-side for optimal layout. Includes pagination with icons and descriptions for each slide. Supports 320px width and up. Tested on mobile, tablet, and desktop devices. Small layout up to 1023px, large layout 1024px onwards. Touch swiping and tapping supported to allow for navigation between steps. Works across modern browsers, with a fallback theme in Internet Explorer 8 and 9. Optionally, you may use respond.js with this theme to add media query support in Internet Explorer 8. 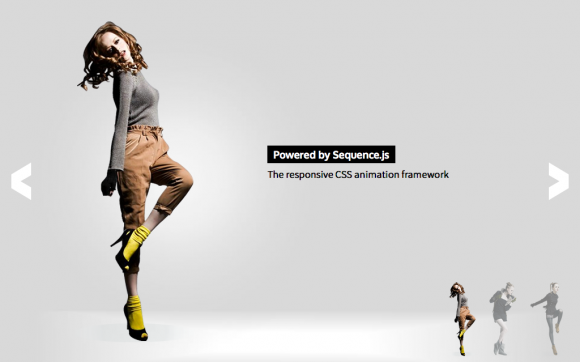 All Sequence.js themes can be easily modified using just HTML and CSS. This theme includes a Sass file and automated development environment via Grunt.js. From folio/index.html, copy everything inside the <body></body> tags, then paste into the page you'd like the theme to appear on. Save your page and view in the browser. Refer to your theme's README file for any additional instructions. To customize how a theme behaves, its Sequence.js options can be changed in folio/scripts/sequence-theme.folio.js. See Options in the documentation. To customize how a theme looks and how its step's transition, refer to the theme's stylesheet: folio/css/sequence-theme.folio.css. It is recommended to read Setting Up a Theme in the documentation for an overview of how transitions are applied to Sequence.js steps. Cross browser testing environment provided by BrowserStack. We'll send the occassional email with updates and coupons. You can unsubscribe at any time.